Home News Thank you T&K for an excellent, high quality, painless installation. Thank you T&K for an excellent, high quality, painless installation. We here at T&K love hearing feedback from our customers. Thank you Mike for this lovely email. As my usual first point of contact with T&K I thought I would address this to you in the first instance. I should be grateful if you would pass this on to others concerned within T&K, certainly including Daniel who has Project Managed the Conservatory installation and Steve who conducted the surveys and quality checks. As you know we planned a smaller conservatory several years ago but did not proceed due to personal concerns with the planning application. Last year we decided to revisit the conservatory idea this time for a much larger design some 7m x 4m. Based on our previous, most positive, experience of T&K (Windows, Doors, guttering and trim at three properties), we consulted you. Indeed in this instance we did not approach any other supplier trusting that T&K would provide a competitive quotation for the quality of materials and installation, as well as the excellent after sales service and support we have enjoyed with previous T&K work. From our initial meeting with you on 2nd May 2017 to final completion in December 2017 the installation process has run very smoothly. Daniel has kept us informed and quickly addressed any concerns/queries we may have had. I cannot accurately recall the names of all the various installers but suffice to say all, with no exceptions, were, as well as clearly being highly competent in their trade, amiable, friendly and very helpful. All worked to minimise disruption not only to ourselves but also to neighbours ensuring the site, tools and materials were keep tidy throughout. As far as I can judge the quality of workmanship at all stages has been to the highest standard. I trust that you, or Daniel, have a record of the workmen. I would appreciate it if you passed on our highly positive views of their work. Any concerns we had – for example some minor issues with plumbing/heating – were quickly addressed and resolved to our complete satisfaction. Nothing seemed too much bother for T&K – for example whilst working, I did note that the dimmers on the LED lighting caused some flickering of the lamps. I raised this with T&K and without delay or fuss arrangements were made for new style dimmers to be fitted. I also observed that the lights were ‘cool white’ which we found a bit ‘harsh’. Again without fuss T&K arranged for all the fittings to be replaced with ‘warm white’ units. 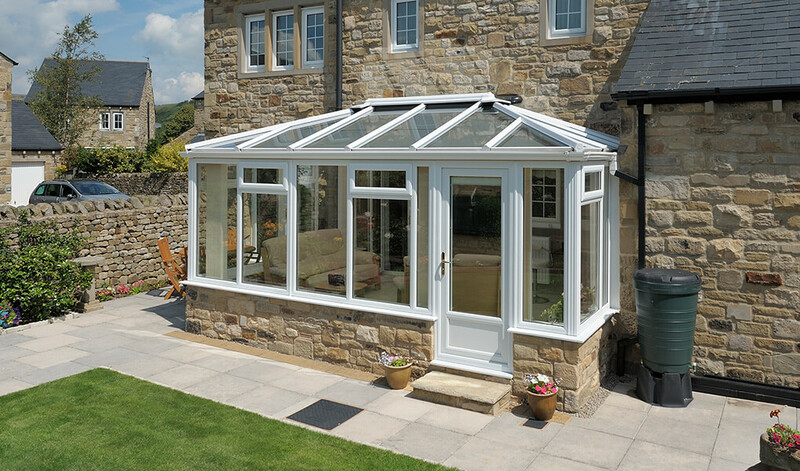 The finished product is nothing short of superb and both Normah and I are delighted with the ‘conservatory’ – or Orangery as she calls it. As you noted at the outset conservatory design has moved on somewhat and it would be more accurate to call this an ‘extension’. The “livin” roof and high level of insulation make it usable regardless of weather. (Certainly in cold weather – we have yet to see how it performs in warm sunny weather). To conclude – quite simply – thank you T&K for an excellent, high quality, painless installation.